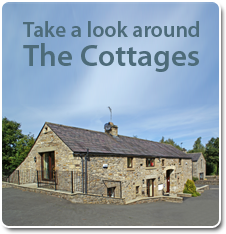 Riverside Holiday Cottages are a short walk from the pretty market town of High Bentham and a short drive or cycle from Ingleton and the famous Yorkshire Three Peaks. 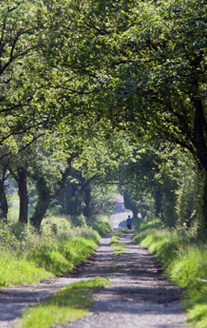 The area is a tranquil and unspolit part of North Yorkshire, in the Wenning Valley also known as Wenningdale. The local market town of High Bentham used to be in the West Riding and is now in North Yorkshire, although the postal address is and always has been ‘Lancaster’, the nearest towns are in Cumbria and North Yorkshire. High Bentham is exceptionally fortunate in the diversity of it’s scenery. The River Wenning, a tributary of the Lune, meanders pleasantly from the South of Clapham alongside both High and Low Bentham. When the quiet evening falls, an unforgettable experience is the glorious vision of the sun setting over Morecambe Bay. The town shops and pubs are within comfortable walking distance of the Cottages, there are also amenities on the adjacent Caravan Park. 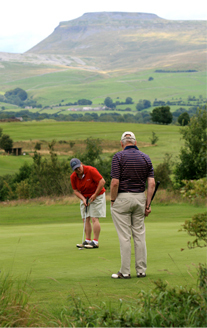 Golf Bentham Golf course boasts an excellent 18 hole golf course with modern bar and catering facilities. Within the town there is a Spar and Co-op open until late every evening and open on Sundays. There are also a variety of shops including a chemist, hardware store, sports shop, haberdashery, country furnishing shop and gift shops. There are 4 public houses, 3 cafes, Chinese take-away, Indian restaurant and a traditional fish and chip shop. The cattle and farmers market takes place on a Wednesday at the Auction Market. Activities on the Caravan Park and around Bentham. The main attraction for the children is the outdoor adventure playground, which is imaginatively laid out on small terraces up the hillside behind the reception block yet within sight of the touring area. They can sail their dinghies and swim in the river. There is also an indoor games room with 2 pool tables and games machines. Fishing is available from the banks of the Caravan Park and to Cottage customers. Daily, weekly and seasonal permits for the private stretch down stream on the River Wenning are available from reception. Please remember that a current E.A License is required. Alternatively, less than 30 minutes walk, or 5 minutes in the car brings you to ‘Big Stone’ with it’s breathtaking views of moors and mountains, extending from Bowland to the far Lakeland hills.